No two sunsets are the same. And I guess the same holds true for sunrise. But there would be less comparison for me when we speak of sunrise, as seldom do I wake up that early to witness the break of dawn and feel the warmth of the morning rays. 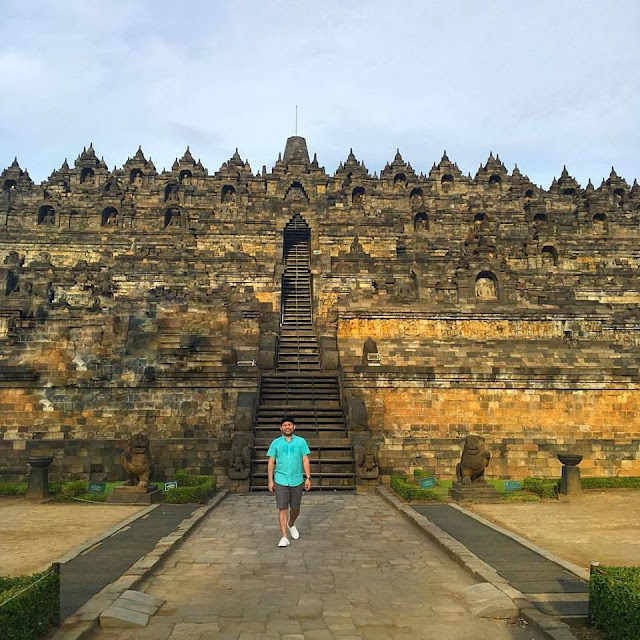 To visit the UNESCO World Heritage Site Borobudur Temple in Central Java, Indonesia is one willing exception of my extended slumber. Call time was 3:30AM. And at 4:30AM, we were at Manohara Hotel grounds for the special registration of sunrise viewing before the regular guests are allowed to enter. In a few concrete steps, we reached the central dome at the top in time for the skies to clear and provide a panoramic and dramatic backdrop of famed mountains. Perforated stupas surround the dome where each contains a Buddha statue. This is the second time I have visited the temple and in both visit, I failed to capture a Buddha seated inside a stupa. Most say, you just have to touch the Buddha, make a wish and it will come true. I lost another chance once again as I completely forgot about it (regardless if it’s a myth or not). But the truth is, being there for the second time with friends is already more than enough to be granted another wish. This visit is certainly one of my most memorable sunrise viewings to date. There may only be a few instances but all those are certainly worth it. Every Asian history book will always tell the story of how this biggest Buddhist monument was built. The temple sits on a hilltop overlooking green fields, distant hills and famed volcanoes. In a symmetrical structure, our guide informed us that the temple covers an enormous area of 123 x 123 meters. As we move from one platform to the other, noticeable are the relief panels and Buddha statues. What makes this temple amazing? It was built without using any kind of cement or mortar. The structure is like a set of massive interlocking Lego blocks held together without any glue. It was rediscovered in 1815 buried under volcanic ash. It was then restored to what it is today – one of the world’s most valuable treasures. Undeniably a work of art in itself, the stone carvings in the temple on layered platforms made of bas-relief represent images from the life of Buddha. Scholars claim that this is the largest and most complete ensemble of Buddhist reliefs in the world. Because sunrise viewing is rare for me. It has to be captured and immortalized in the form of postcard-worthy photos. Every corner of the temple is photogenic and though there are less number of tourists as the viewing time is relatively exclusive and expensive, the challenge to find that perfect spot do exist. And it pays to have a great travel buddy who knows your demanding image requirements. 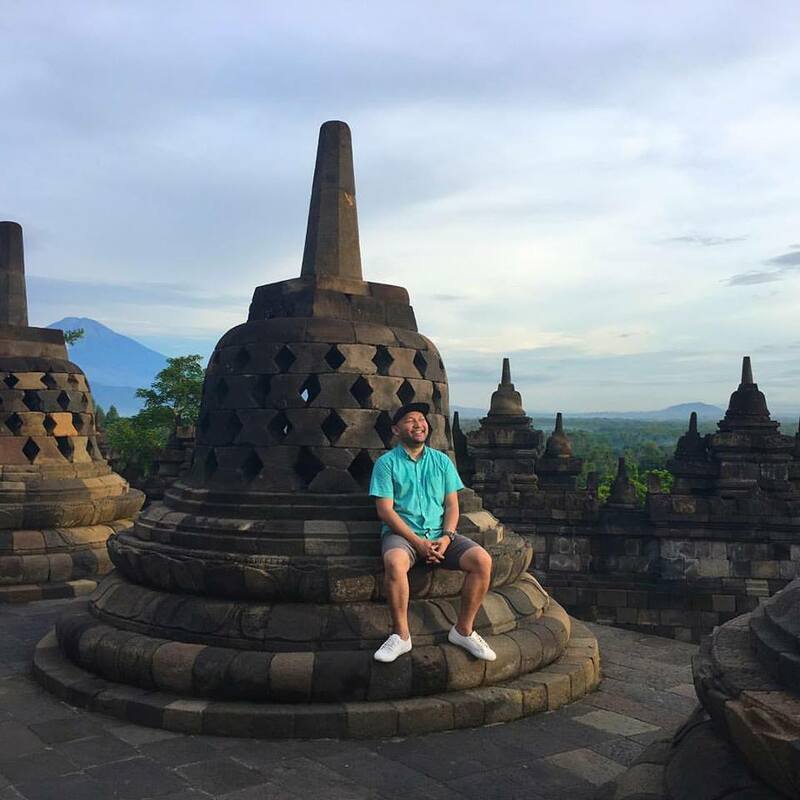 There is no better way to understand Indonesian culture and heritage than to visit this iconic landmark. And it is even made more special because the backdrop of a sunrise gives a fresh start of a day and a moment to remember. A comfort sleep and a conditioned physique is what we need to be able to explore Borobudur Temple on a very unlikely hour for a group who are used to sleeping for longer hours. Very close to Borobudur Temple and at the heart of the city of Magelang, we stayed at the ATRIA HOTEL MAGELANG. Atria Hotel Magelang is a modern 4-star hotel in Magelang, Indonesia. The hotel has spacious and fully-equipped rooms, gastronomic proposals of the Pamiluto Restaurant and the Truntum Lobby Bar, outdoor swimming pool, fitness center, spa and personalized service. I was assigned to a 28-square meter Deluxe Room, which has the same service as a superior room and that includes an ironing board, bench and full bathroom amenities. (click to check other room types and rates).